1. Add 1/2 a cup of water to the plastic bottle filled with 2 tablespoons of Epsom Salts and a few drops of dish washing soap. 2. Add a 1/2 a cup of water to the plastic bottle filled with a few drops of dish washing soap. 4. 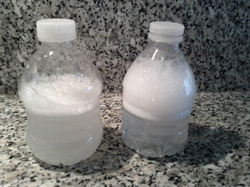 Put the lids on both bottles and shake vigorously. 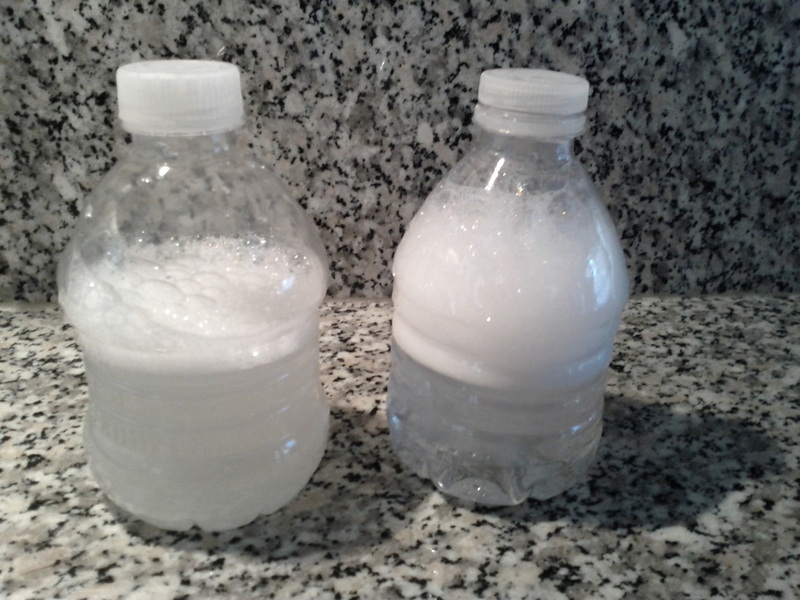 The bottle with the Epsom salts should have far lesser bubbles than the bottle with only dish washing soap. This is because the water was made "hard" by the addition of Epsom salts. Water in some places is hard due to the presence of minerals dissolved in it. These minerals interfere with the effect of the detergents. Chemicals can be added to hard water to make it "soft" again, so that the detergents are able to do their job.